8 millimeter every one . 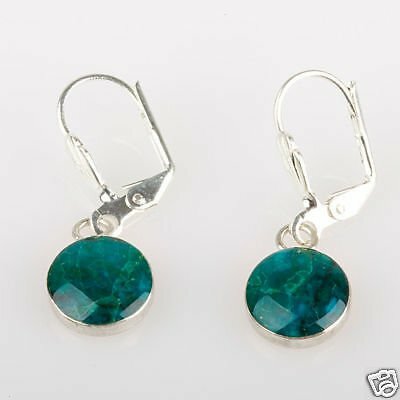 Eilat Stone is the name for a green-blue inhomogeneous mixture of several secondary copper minerals including malachite, azurite, turquoise, pseudomalachite, chrysocolla and others. The Eilat stone is the National stone of Israel, also known as the King Solomon Stone . It comes from the Timna mines near the city of Eilat in Israel. They are very rare relative to other stones.